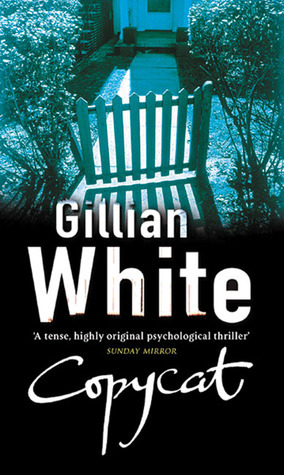 Towards the end of 2013 I learnt that Gillian White’s enthralling psychological thrillers had been republished. I had read some of these over a decade ago but I soon exhausted the library’s supply but have been on the lookout for second-hand copies ever since. In November I was fortunate enough to be given a copy of The Sleeper to review by the publishers Open Road Media and was relieved to find that the has stood the test of time. In celebration I bought a copy of Copycat: A Novel. The opening chapter foretells the end by detailing a life-sentence for murder, the mystery of the book is what happened? How does a neighbourhood friendship degenerate to such a level? On the day Martha Frazer moved into Mulberry Close, Jennie, her neighbour was captivated this heavily pregnant and full of life young woman. After all Jennie had been the first occupant of Mulberry Close, an aspirational group of executive lodges, close to what soon becomes a sink estate, has already assumed a territorial attitude. As the two women got on with their lives first as wives, and then as mothers, Martha with her large group of friends and laissez-fait attitude appears to be everything Jennie is not, but nevertheless the two women’s lives soon become intertwined. Although the words used are the same, the meaning behind them illustrates the completely different outlook on life that the two women have. As the book isn’t told in chronological order, the reader will soon be in no doubt that Jennie’s early admiration for the laid-back Martha soon turned to jealousy and obsession, but then, Martha’s life isn’t the trouble-free existence that Jennie believes it is either. The tension is raised by the fact that everything described is only too believable, the children playing together whilst their mothers exchange confidences over a glass of wine. Petty childhood arguments diffused by fraught mothers while something dark bubbles beneath the surface. Shared holidays with other friends which only serve to highlight not only the difference between the parents but also their offspring, all the while Martha’s attitude fluctuates between sympathy and frustrations with her neighbour. This review has my firm recommendation for any lover of psychological thrillers in a domestic setting. If you want to ponder, as I did, what would I do? Well this is the book for you. Without a doubt this is one of the darkest of any of the domestic dramas I have read. This is one of Gillian White’s later novels, first published in 2002 and it is definitely one of my favourites. He’ll understand it when I’m done with him!! One of my colleagues has borrowed the four I have from years ago as she had been looking for copies but I need to buy the ones I don’t own 😉 This one was brilliant and hasn’t dated as much as I thought it might have done. Hi Cleo, I don’t think I’ve read any Gillian White before, but I’m definitely intrigued! Which one would you recommend I start with? I’ve enjoyed all the ones I’ve read, this one is excellent as is A Witches Cradle which was written as reality TV was emerging. A family go on TV and then their three children go missing… one of those books I’ve never forgotten even though I don’t own a copy. These books both sound really good, especially Copycat. I’ll have to keep an eye out for it. It definitely has my stamp of approval. Reading these two has made me want to read the rest (even the ones I have already read) so expect to see more of Gillian White here. It was your blog that made me realise that they had been republished which I am really grateful for as I enjoyed the ones I’d read so much the first time. I’m amazed that she doesn’t appear to be better known. I did read this one years ago but it hadn’t lost its magic at all. As you say the reversal works well especially with the ending which is superb…. Gillian White passed me by, but I’m pretty sure it’s not because I’m too young! I was delighted to read this review, as I have Copycat downloaded to my Kindle – it sounded great and was a real bargain. So, as ever, CLB has guided me to another great read! ,I’m pretty sure I must be an incredibly slow reader, compared to other bloggers. It’s always been the case – I spend a ton of time reading, then get online and can’t believe how much other bloggers read! I ‘ve tried speed reading, but I find that I don’t savour the story as much. Any suggestions?